Parenting a child with special needs is a unique, fulfilling, challenging and heartwarming experience. But, let's face it—it's not cheap. And, as we all know, there are devices that your kid absolutely needs to enhance their quality of life that your insurance won't cover. 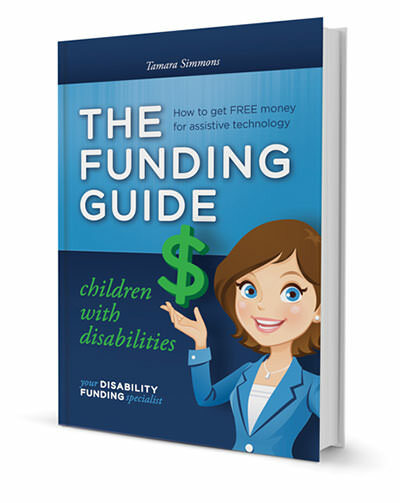 The Funding Guide for Children with Disabilities is a one-of-a-kind "how-to" resource and a must-have for families of children with disabilities. The book identifies all of the necessary steps, samples and funding sources to obtain free money for assistive technologies and services. That's right, FREE money! Follow the guide's step-by-step instructions and you are on your way to receiving financial aid that you will not have to pay back. Your family's bottom line will thank you. The very first step in the funding process is to choose the most appropriate assistive technology needed. Save time and get more than one price quote for the same item from different vendors. Take a photo of your child with the AT that you are trying to get funding for. The adorable image of your child enjoying the device that will change his or her life will go you a long way in getting the monetary assistance you need. When researching a funder, the first thing you should consider is geographic location; you must be a match. Submit all required paperwork to your insurance right away; they need time to process your denial letter. Some funders require this, some don't—but get it anyway. Follow instructions! If the funder asks for only 3 typewritten pages and you give them 4, they will file your inspiring prose under "G!" for garbage. Go high or go home. Apply to at least 5 funders for the same item and drastically increase your chances of being funded. What Do the Funders Have to Say? Read our guidelines carefully. If you don't meet each and every requirement then don't apply. If we only fund for children who live in California and you live in Florida, please don't apply. This is often the biggest mistake that is made on applications. Never type using less than a 12 point font so you can squeeze in more information unless the guidelines state to use a smaller font. We have to read through a lot of applications, be as clear and concise as possible. Sometimes, less is more. If you are not sure of something give us a call. We won't mind helping to clarify something to save us both time. If you don't get funded the first time, you can usually apply again. Sometimes we just have more applications than money, but that could change at the next meeting. Make sure you check our guidelines on the time you need to wait before you apply again. A picture really is worth a thousand words. Include a photo of your child with your application. Fact: There are Financial Resources Out There Just Waiting for You to Tap Them. The trick is knowing where to look. I have been teaching the process outlined in The Funding Guide to families for more than 11 years, providing simple instructions, easy-to-use templates, sample checklists, more than 200 funding sources and guidance to finding your own funders. Included in the first issue of The Funding Guide is a brand new chapter on crowdfunding, the newest and fastest way for parents to raise money for their child. 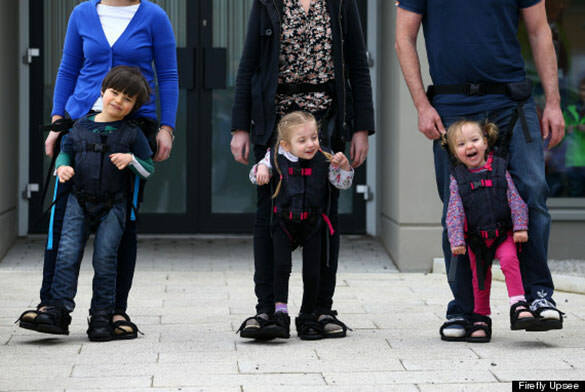 My crowdfunding tips have proven extremely successful for the families with whom I've worked, allowing them to raise the money to meet their child's needs in days, not weeks. If you would like more tips on how to get funding using my simple step-by-step process, visit my crowdfunding campaign page. (Yes, I'm following my own techniques to ensure this vital information into the hands of the families that need it.) When this book is published through your generous support, it will be available for free and will change the lives of thousands of children. Your donations will provide struggling families with guidance on how to raise money for medicine, therapy services, insurance, co-pays, medical devices and procedures. 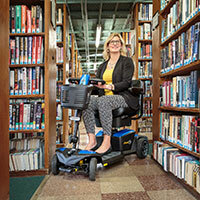 As an added bonus, anyone donating to support the book's publishing campaign will be entered into a drawing to win one of the following great Firefly products: the Upsee, the Go To Seat, the Playpak or the soon-to-be-released scooter. 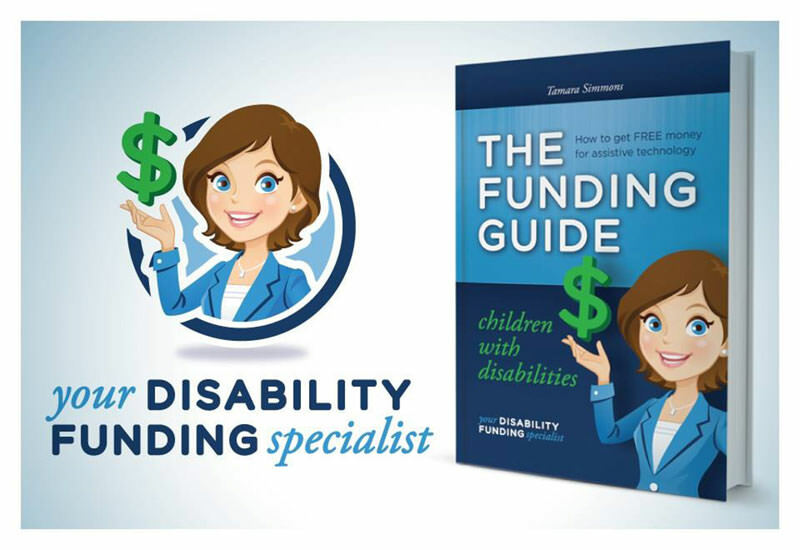 For more information on Tamara Simmons and The Funding Guide for People with Disabilities, visit www.yourdisabilityfundingspecialist.com.